Nadszedł czas na prezentację efektów pracy Marcina nad ilustracja na pudełko do Bearcata. Nie jest jeszcze do końca gotowe. Ale właśnie teraz jest okazja do wysłuchania waszych opinii. Napiszcie co sadzicie o naszym boxarcie, zostawić czy zmienić? 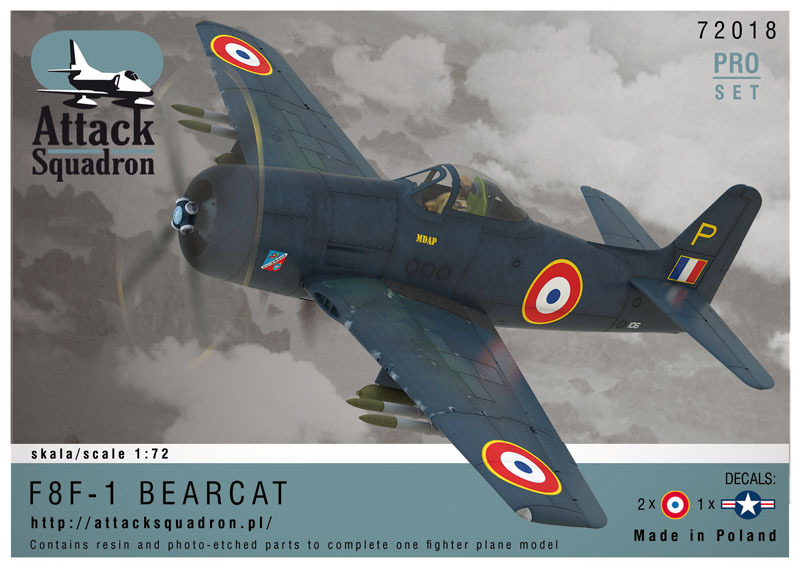 Sprawdź model myśliwca F8F Bearcat 1:72 w naszym sklepie Arma Hobby. The box art is beautiful. The kit has incredible detail. I think you set a new standard in crisp accurate detail. Your box art looks very atmospheric. Test shots of the kit promise a very high standard. I also like the look of the decals. Well done. >> But I don’t understand how a 3D program can make a illustration ??? It can! And in such a way that you’ll never know it’s a 3D model and NOT a photograph. There are thousands of good examples all over the Internet. It all depends on the person who’s doing a 3D model: if he/she is a real pro, you’ll see a photo-quality image with all proper shadows, glares and reflexes… Do a search. The box art is great. go for it.